Over the southern hemiphere summer of 2016/2017 I made a flurry of antennas tuned to 1090MHz to capture position information from aircraft ADS-B broadcasts. Here I document them, from newest to oldest. The nice thing about making antennas for Gigahertz frequencies is that they tend to be rather compact. The wavelength of a 1090MHz transmission is approximately 275mm. 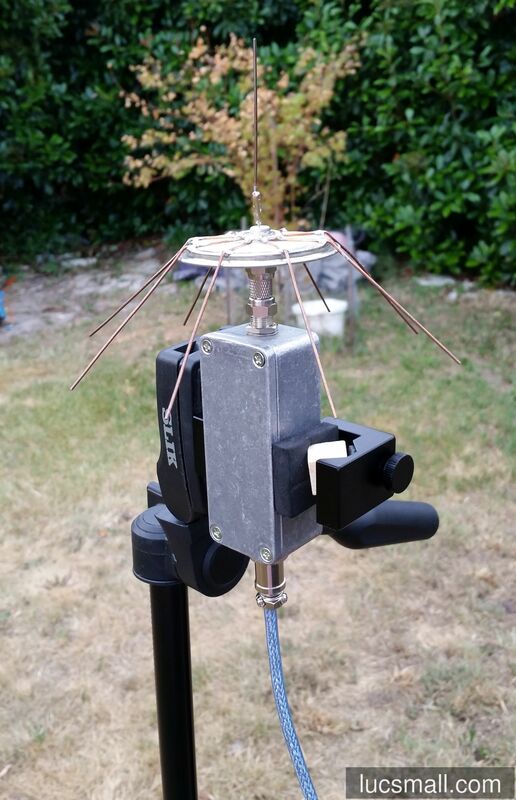 Since the length of the antenna elements shares a relationship with the wavelength, this means you can make antennas with few materials, very inexpensively. The newer antennas use F connectors to attach to my ruggedised USB DVB-T dongle, which in turn connects to my ruggedised Orange Pi Zero which runs software to track aircraft. 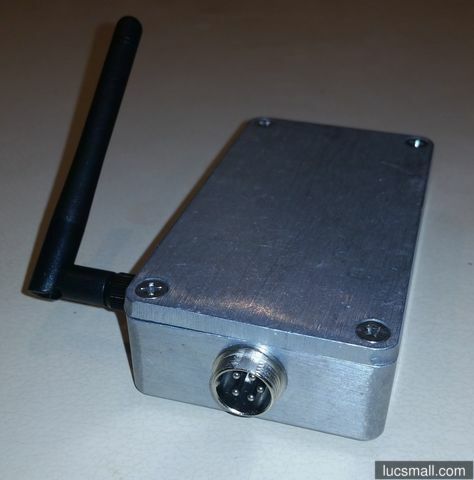 Having recently developed an interest in tracking aircraft using software defined radio (SDR) techniques to capture ADS-B broadcasts with a cheap USB DVB-T dongle, I wanted a more robust setup. I’ve already written about my steps to ruggedise an Orange Pi Zero for outdoor use. In this post, I describe how I did essentially the same thing to the USB DVB-T dongle, so it could be mounted outside, on an antenna mast or tripod. At one end there’s an F connector for connecting an antenna either directly or via a length of coax. At the other end is a 5-pin GX16 connector carrying USB power and data. To provide an extra level of protection from the rain, the unit can be shrouded in a section of PVC pipe with an end cap fitted. I wanted a robust enclosure for my Orange Pi Zero, so it could be placed outside and withstand at least a bit of dust and a little rain from time to time. It had to expose a power connection and a USB port and have good wifi reception. The principle use case was as a headless Linux box to run dump1090 so I could track aircraft using an attached USB DVB-T dongle. The Orange Pi Zero is housed in a diecast aluminium enclosure. Power is provided by a 2-pin GX16 connector at one end, while USB signals are carried over a 5-pin GX16 connector at the other end. I like the GX16 connectors since they are fairly easy to solder, very mechanically robust, and have an old-world aesthetic. 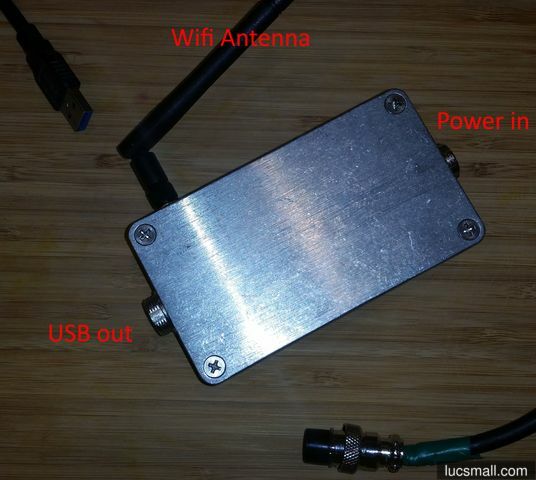 Wifi is brought out to an external antenna not unlike one found on the back of a wifi router. All in all, this setup feels pretty solid. Read on if you’d like further details, including a bill of materials, a connection diagram and a drilling template. If you’re more interested in the software side of things, I have a complete tutorial about configuring the Orange Pi Zero for tracking aircraft and a basic guide to getting started with the Orange Pi Zero you might like to read. The Orange Pi Zero is a neat low cost single board computer. When paired with a cheap DVB-T digital television receiver it makes an excellent platform for tracking aircraft broadcasting ADS-B messages in your area using software defined radio (SDR) techniques. it is very compact, foregoing things like HDMI connectors which are not required for the application. it supports wifi as well as wired ethernet. it is quite powerful, having an Allwinner H2+ system-on-chip (SoC) featuring a quad core ARM Cortex-A7 processor. Full specs and other useful information is available on the linux-sunxi.org wiki. Linux support is very good, thanks to Armbian. 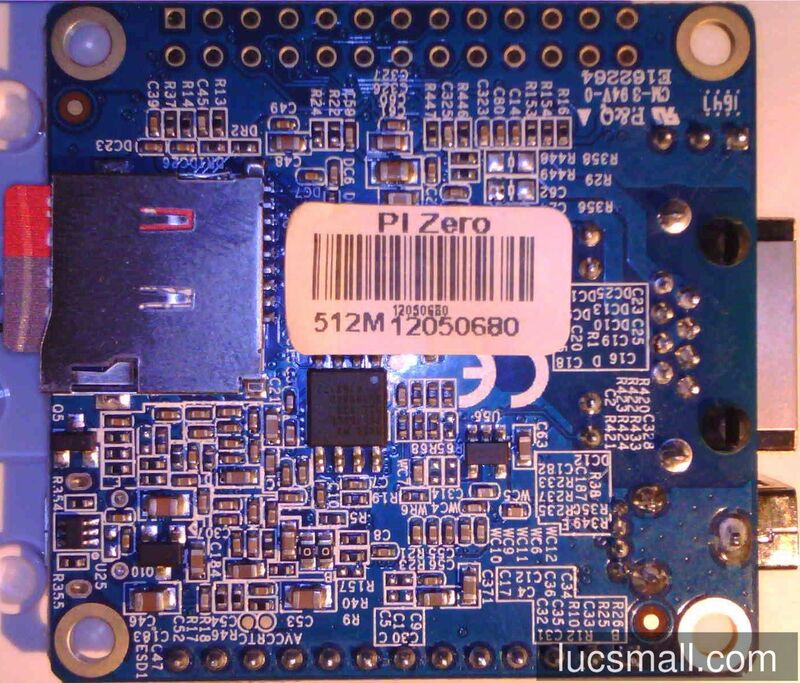 Wifi support is particularly handy, since you can situate the Orange Pi Zero and the USB DVB-T dongle close to a suitable antenna and relay aircraft tracking data back to other computers on your network using wifi. 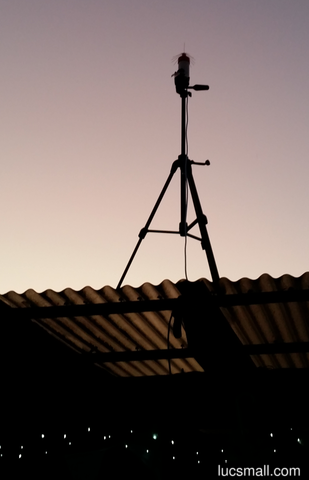 Indeed, with a weatherproof enclosure, everything could be mounted right next to the antenna on a rooftop. This would minimise attenuation of the signals received from planes by keeping the coax cable run between the antenna and the DVB-T dongle as short as possible. Thanks to wifi, the only cabling required to the system would be to deliver power. But that’s getting a bit ahead of ourselves. Remarkably, even a very simple setup, with everything including the antenna located indoors can track a surprising number of planes. 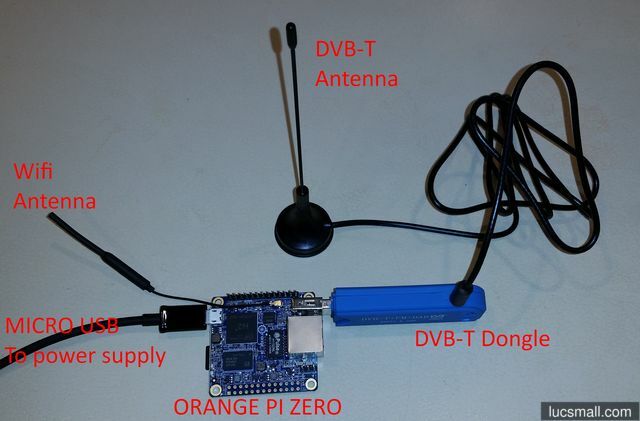 In this tutorial I will provide step-by-step instructions to get an Orange Pi Zero working with a USB DVB-T dongle to receive tracking information from aircraft. it is very compact (approx. 46 x 48mm). it forgoes things like HDMI connectors, making it ideal for headless, embedded applications. 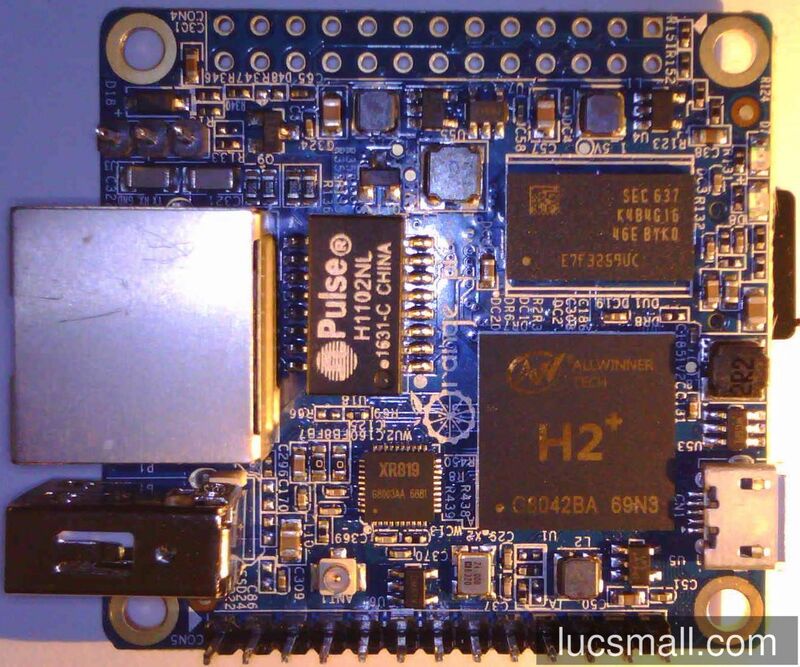 In this tutorial I provide step-by-step instructions to get a working Armbian Linux environment on the Orange Pi Zero. This was an experiment with making a hexagonal pixel display. Compared to square pixels, hexagonal pixels render diagonals, diamonds and circles more accurately. Conversely, they are less capable at rendering squares, rectangles, vertical and horizontal lines. The display has 97 pixels and is approximately the size of an A3 sheet of paper. The richness of colour, brightness and responsiveness of the display are quite incredible. An Arduino coupled to a Raspberry Pi 3 feed the LEDs with RGB data. It would be neat to scale up the display to cover an entire wall. Over the weekend of 29-31st July 2016 I participated in my first GovHack. I teamed up with Jack Simpson, whom I’ve known since we attended the same Software Carpentry instructor training in Melbourne and worked out, through the normal course of conversation, that we were both Canberra residents. We camped out at the UC Heritage Hack node at the University of Canberra. Tim Sherratt organised the “themed” node to cater to those interested in devising hacks around cultural heritage datasets. He provided a large number of examples demonstrating the fascinating insights that can be gleaned from such datasets. He mentioned that cultural heritage data is often far from “clean”. Instead it contains inconsistencies, ambiguous elements, formatting issues, missing fields, and a blend of structured and unstructured data. All of this was true of the dataset Jack and I chose to work with. Our stated goal was simple: to visualise convict ship journeys to Australia over time. For this we turned to the State Library of Queensland digitised records of the British convict transportation registers. It lists over 123,000 of the estimated 160,000 convicts transported to Australia. What they were convicted of, what ship (or fleet) they journeyed on, when they departed, and where in Australia they alighted. It is a remarkable resource. I try out a class-D/class-T digital audio amplifier module, featuring the Tripath TA2024 integrated circuit. 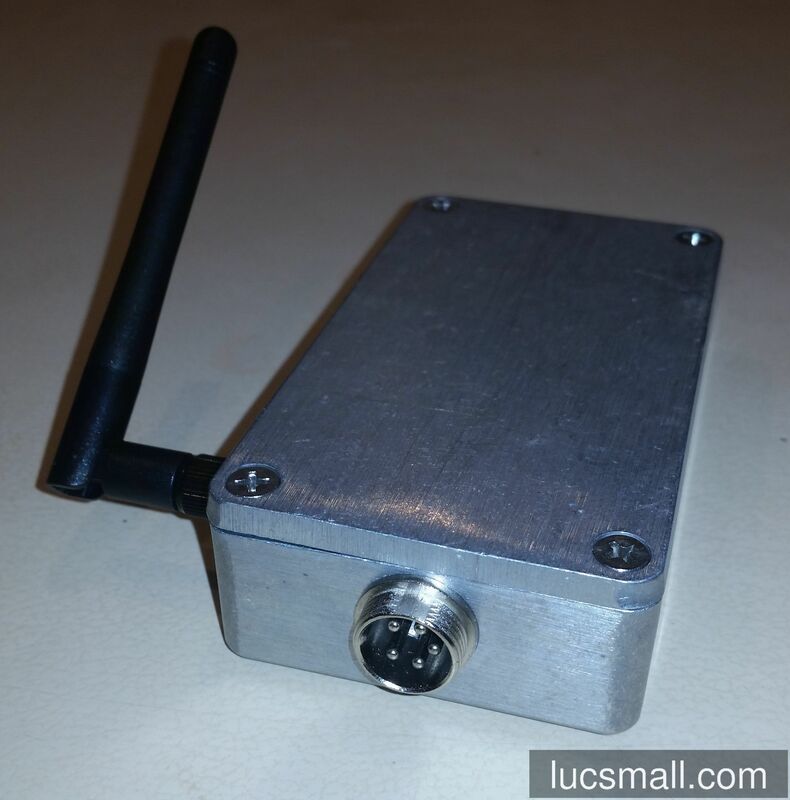 Available from a variety of sellers on AliExpress, this module sells for about US$5 delivered.